Contacts App or your Google Contacts. 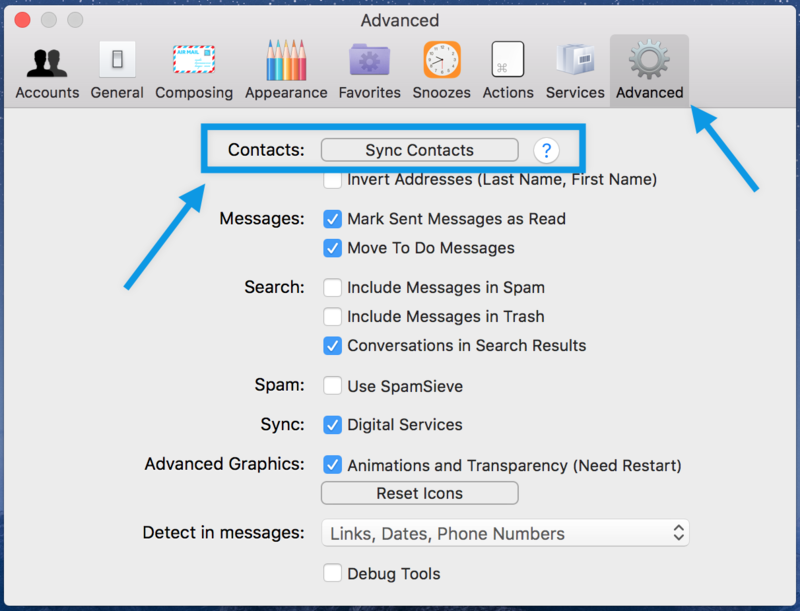 To use a contact group, you will first need to create a group with contacts in either your Apple Contacts App or with Google Contacts. the source, to sync them with Airmail. Alternatively you can force a contact sync. Go to Airmail Preferences > Advanced. Create a new mail by clicking on the ‘New Message’ icon. Contact groups are shown in BOLD and in brackets () is the number of contacts in that group. Click on the contact group to select it. To view the contacts in the group, simply click on selected group and click explode. the limit from your provider. For example Gmail allows a maximum of 99 recipients per message.